This makes my life easier so it was worth the 10 bucks it cost to do. Don't skimp on the wire no smaller than 14 gauge copper wire! 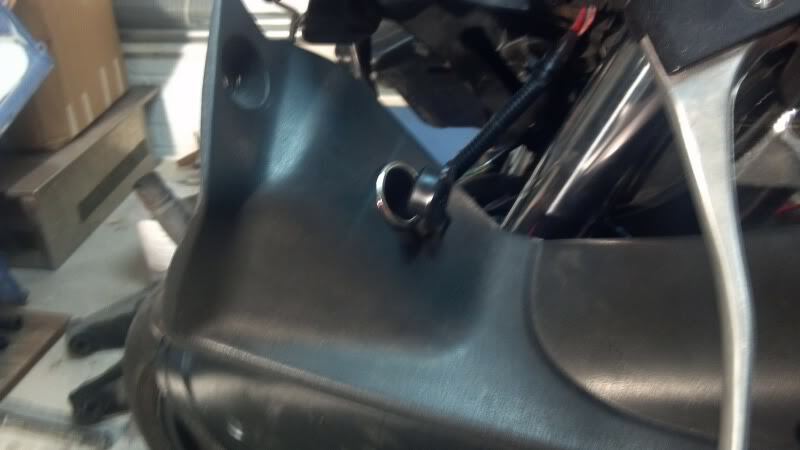 Pick a place on your bike you want to mount your power jack. See the pictures below for where I chose. Run your wire in a safe manner, zip ties etc. 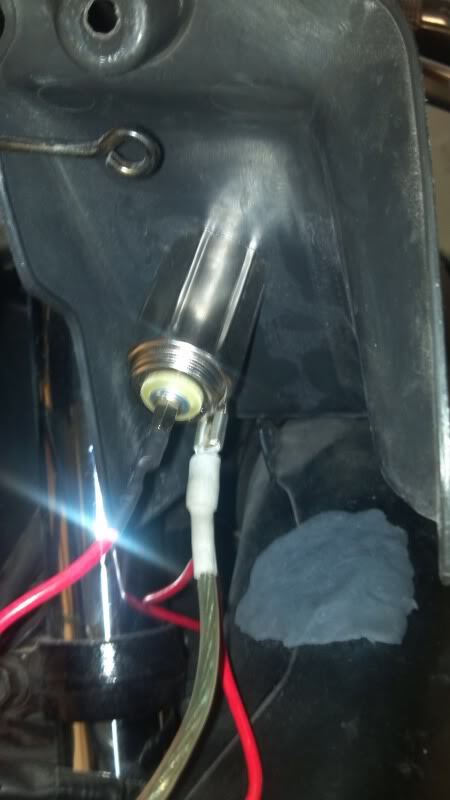 I hook into the hot side of the starter solenoid for my constant power. Just looks cleaner with the boot and makes it easier to mess with the battery without wires everywhere. Keep your fuse as close to the battery as possible. Do not put it near the power jack as it will not do its job if there is a short. Once you have the jack wired up plug a phone charger in and test it. If it works than you can make your life easier with a plug in battery tenderizer. MAKE SURE YOU FIND GO POSITIVE TO POSITIVE AND NEGATIVE TO NEGATIVE! NOT DOING SO WILL FRY YOUR TENDERIZER, POSSIBLY HURT YOUR BATTERY, AND THERE'S ALWAYS RISK OF FIRE! 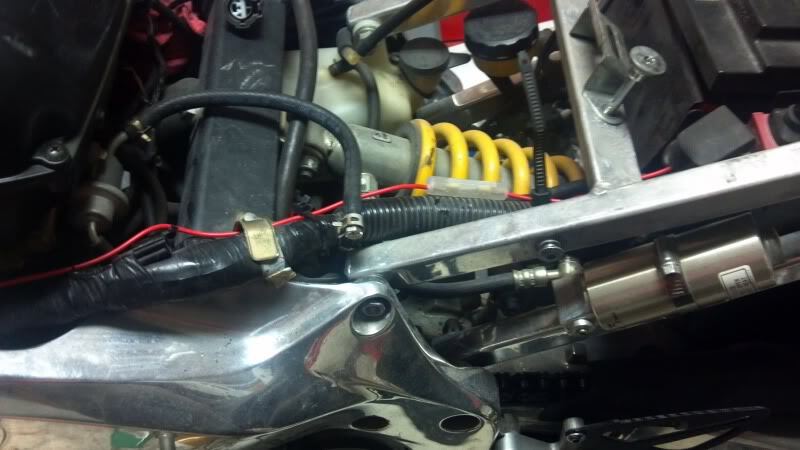 And voila now you can pull into your garage, plug her in and never worry about a dead battery again. 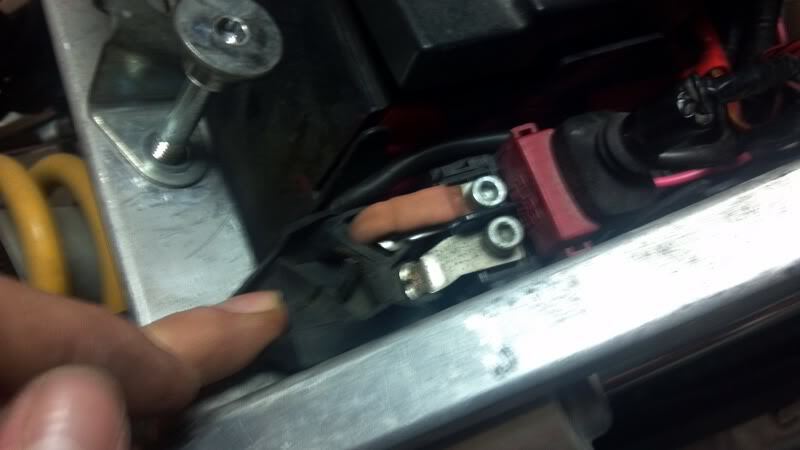 Location of my fuse. Close to the battery. As always feel free to chime in with anything I forgot. 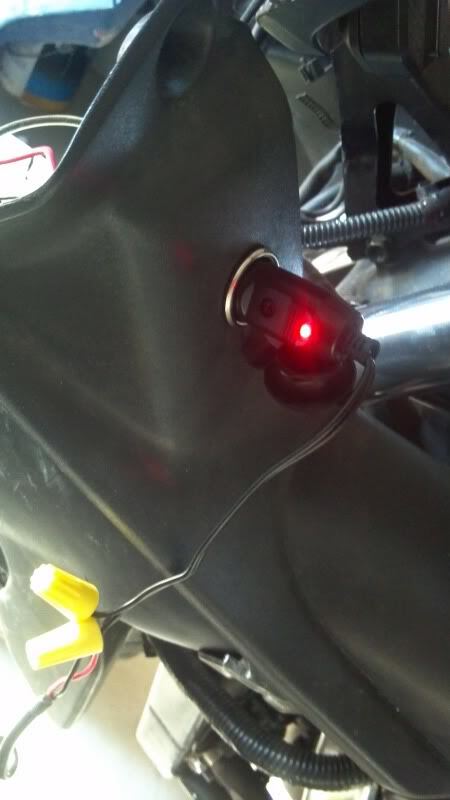 connect car or marine battery to bike? 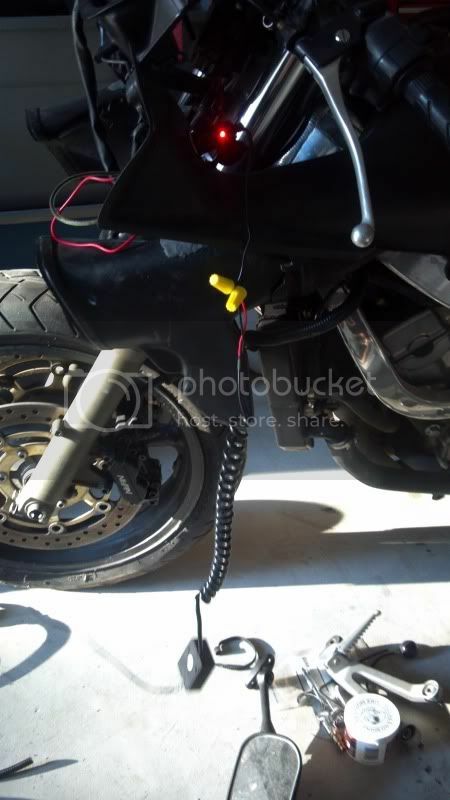 Quick Reply: How To Install Power jack/Simple Connect/Disconnect for your battery tenderizer.